With the lot purchased and the home footprint and location refined, it was time to get a set of permit documents ready for submission. Each county is unique with their permitting process and requirements can vary drastically; this is ever apparent when building in counties west of the Greater Denver area. An example would be Jefferson County, which has the challenge of regulating a variety of communities from urban areas to remote mountain land and need regulations that control the biggest builders in the state but also allow a single homeowner to construct their home. Other neighboring counties, including Gilpin and Park Counties, need to balance the construction of cabins and seasonal homes with large single-family residences, which makes each county’s process unique. While some seek out land in smaller counties to take advantage of lower permitting and design costs, others prefer the land values and associated amenities of the larger counties. Some of the biggest misunderstandings when talking to homeowners are these items above; at times they are completed by the owner, others are taken care of by the general contractor, and sometimes it is the architect/engineer/project manager who handles it. This usually depends on the fee structure and contract. 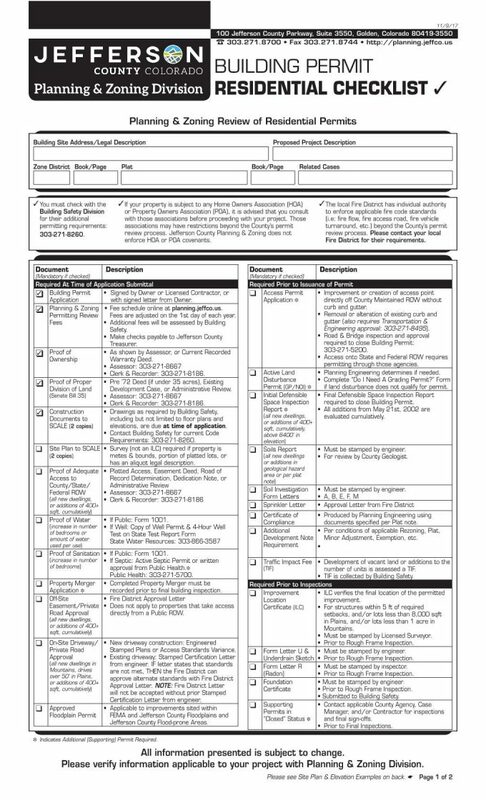 Typically, a civil engineer will put together a “Grading Plan” which is a component of the “Grading Permit”, this distinction is critical and similar to an architect putting “Building Plans” together but not the “Building Permit” because so many of the small items needed above are only obtainable by the owner or contractor. In my situation, we were building in Jefferson County; they have 3 levels of land disturbance, No Permit Needed in most flat areas under 5000 square feet of disturbance, Notice of Intent being under 10,000 square feet of hard surface with slopes less than 20%, and a Grading Permit for large sites or sites with steep slopes; my project fell into the middle category which was a Notice of Intent (NOI). Our disturbed slopes were just under 20% which shortened the permit process from an average of 6 months to closer to 4 months and hit on the importance of a good lot. 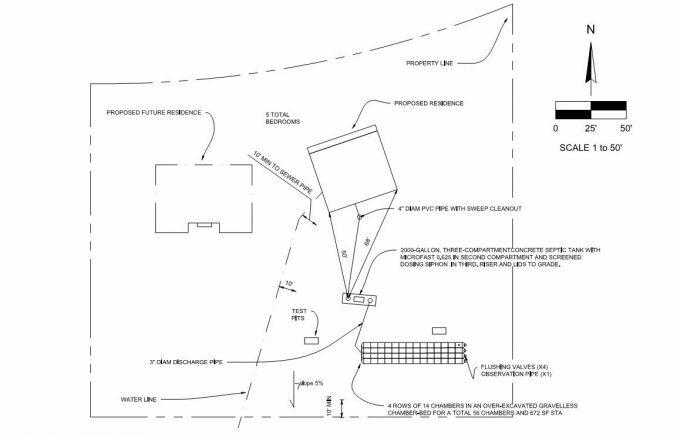 The Notice of Intent requires information such as, the elevation of the home, driveway slopes, total driveway length, erosion control and best management practices, as well as other pieces of information. The NOI is a “light” version of a grading plan which requires similar measures. It used to be common practice to complete the NOI while detailed design was still underway, but over the last few years some changes in NOI and grading permits have made a dramatic impact on the preparation and submittal of these permits. Counties are looking to have finished home floor plans (like an architect is ever done changing them! ), septic design and location (something that takes significant time and planning), and some even require complete geotechnical reports (also a lengthy process that requires site access and borings). One detail that often gets overlooked is that septic design is included in site impact, while water lines are considered a linear utility improvement and is not. The coordination of these components and adjustment to these regulations have been a challenge to the typical design process. 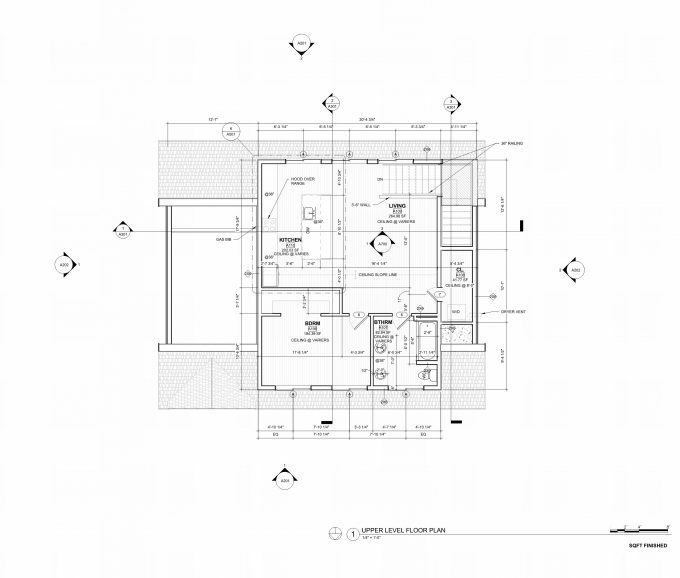 Given the simplicity of our Mother-in-Law Garage Accessory Dwelling Unit (ADU), it was easier to have a complete footprint and house plan, but still stretched out the timing of the submittal process. 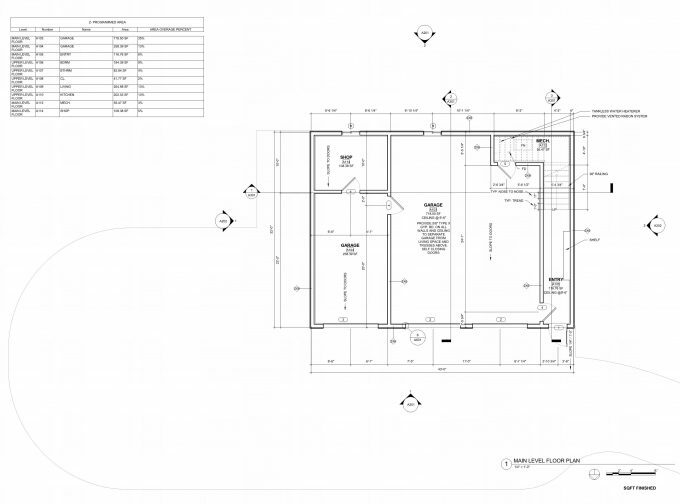 The attention to ADU regulations, decisions on foundation style, and septic plans were all critical. I had some assistance from both our structural engineering team and our architectural group to turn my concept into professional, clean plans. We tweaked stair locations, room layout, footings, and optimized the limited space, while also accommodating the county requirements that made sure my garage wasn’t larger than my house (details!). With the footprint refined, I was able to wrap up the NOI and submit to the county. The review was fairly quick, but multiple reviews are expected with the county, and in our case, some minor tweaks to the erosion control were the only adjustments. During this process, I worked with the Highway Department to get the Access Permit approved, sent the septic design to Public Health for approval, had the water line tapped and routed to the home, hired the defensible space contractor to review tree clearing, and presented our plan to our local fire marshal. I also lined up my excavator, lumber, trusses, foundation materials, removed trees, and installed my erosion control. Once the NOI was approved on November 14th, the last step was the Building Permit. As I mentioned, our skilled team helped me in wrapping up building plans, some touch up to floor plans, stair layout, building details, duct work, footings, and more were all important components to the completed submittal. My goal was to create a functional, constructible structure that was large enough to live in for at least a year but simple enough to build in less than a year! With the ADU requirements of the county, I was limited to less than 1200 square feet of livable space but given the desire to have a 3-car garage, I needed at least 1000 square feet of garage space while maintaining the required balance to have more livable space than garage! It was a bit of a carousel, but we found a great compromise at 1000 square feet of garage and 1000 square feet of finished space. At a certain point, too much space in an ADU becomes a hindrance on resale and functionality, but too little space would not allow us to function on a day to day basis. It was now late December, the building permit was submitted, and I had to wait for everyone to get back from seasonal vacations to get an approval, which finally arrived on January 10th! As a self-contractor, I was able to pull the electrical, mechanical, and plumbing permits the same day and was off to the races. At this point, I had the trees cleared, preliminary defensible space permit complete, water line routed, septic installed and run into the basement space, erosion control in place, and footings dug, staked, and formed. The mental grind was coming to an end and the physical portion was about to begin, concrete trucks would be rolling on to the site within days.